This is the first reported piece this pattern. 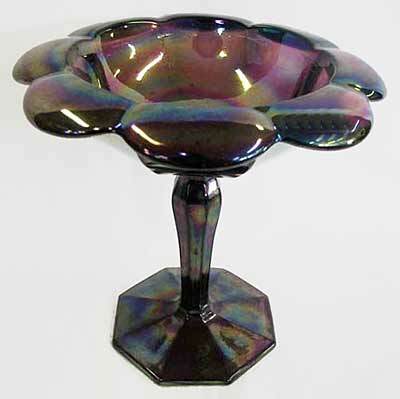 This purple compote sold at the 2008 Heart of America Carnival Glass Association convention auction for $175. Quite an unusual piece.